Learning what chemicals go into your hot tub was probably the last thing you were worrying about when you bought your unit. Why Use Chemicals in a Hot Tub? You probably went ahead and first considered how many persons can fit into the pool and how easy it is to use before even thinking about how to properly take care of your blow up hot tub. However, it’s important to know what chemicals are crucial in keeping your hot tub clean, safe and long-lasting. The good news is you don’t need a degree in Chemistry to familiarize yourself with how to use chemicals. 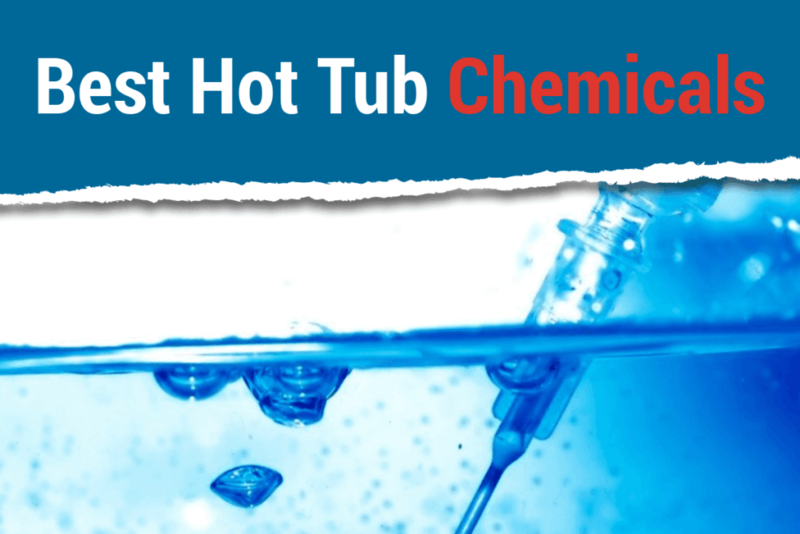 This hot tub care guide will help you get started on everything you need to know about hot tub chemicals. Chemicals are by far the most cost-effective way of cleaning and maintaining the quality of water in your unit. By killing the bacteria in the water, these chemicals make it more comfortable for us to soak in the tub’s water. It also helps in keeping your filtration unit working effectively. Using chemicals is quite crucial because our body tends to lose roughly a pint of body fluids for every hour we are in the hot tub. Everything from grime, sweat, dirt, oil and other fluids are mixed in its water. Many of the chemicals used in hot tubs are primarily responsible for keeping the water balance and sanitation of the unit. Your hot tub requires several treatments for it to be safe and clean. As such, it also needs different types of chemicals and products that help in keeping things such as total alkalinity, calcium hardness, and oxidation in normal levels. Chemicals that are meant to kill bacteria are called sanitizers. When mixed with water, they create an acidic solution that kills bacteria in the water. Two of the most widely used sanitizers are chlorine and bromine tablets. While they are mostly used in public pools, chlorine is also an effective chemical in hot tubs. Apply 3.5 mg per Liter of water every other day or as recommended by the user manual of this product. Maintain a chlorine level of 1.5 to 3.0 parts per million (PPM). Chlorine or bromine can be bought in 1-inch tablets or granular form that you can add to your water. Bromine offers the same sanitizing effect as chlorine, but with less harshness. The recommended bromine levels are at 3.0 to 5.0 PPM. You can use a floater for both bromine and chlorine tablets. When using a floater, you usually load 4-6 tablets and have to wait at least 15 minutes before the tabs completely dissolve. As a general rule, always use test strips at least once a week to ensure that the mineral and hot tub chemical levels are on par with what is recommended in your hot tub’s manual. 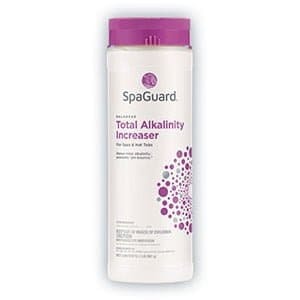 The first step in maintaining your tub’s chemical balance is to check its alkalinity. It should be anywhere between 80 and 120 PPM. You can use a test strip to check its readings. If it’s above 120 PPM, use sodium bisulfate to lower it down and if it’s lower than 80 PPM, use sodium bicarbonate to make it higher. Calcium hardness is the measure of how soft or hard the water is. Too low and the water can be corrosive and cause staining. Too high and it can form scales in your tub’s pipes. Tubs with acrylic finish should have 100–250 PPM, while those with plaster finish should have 250–450 PPM. Oxidizers destroy waste and odor in the water and are also called shock treatments. They require higher sanitizer levels to keep the water sparkling clear. Check your manual for proper dosage. Simply put, pH is the measure of your tub water’s acidity. This should be checked last and using a test kit should be kept between 7.2 and 7.8. 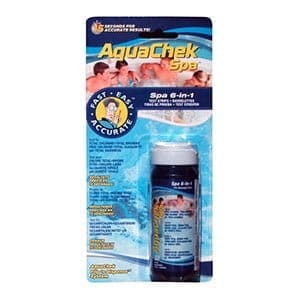 Check your hot tub water pH levels after each use and apply a hot tub chemical if needed. Unlike a pool, a hot tub is more delicate, has more parameters to monitor and requires a different treatment. Water in hot tubs is generally much hotter than that of a pool, with 102 to 104 degrees Fahrenheit and 82 degrees, respectively. As you well know, most bacteria thrive better in hot water compared to cold or lukewarm waters. Hot water also tends to open pores which increase your susceptibility to skin infections. A poorly maintained hot tub or swimming pool can cause common ailments such as urinary tract infections and rashes. This is why you should always use only the top hot tub chemicals. 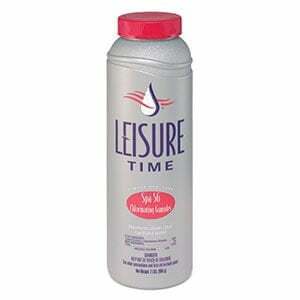 Hot tub chemicals is very important part of maintaining your hot tubs. Make sure you first read the manual and strictly follow it, especially on the proper use of these compounds.